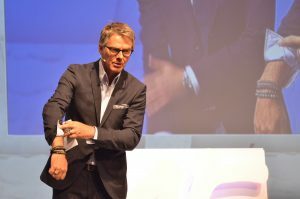 With the 2017 Collection Premiere, the festive presentation of its new magnetic jewellery collection, the direct sales company heralded its anniversary year in Berlin. ein. 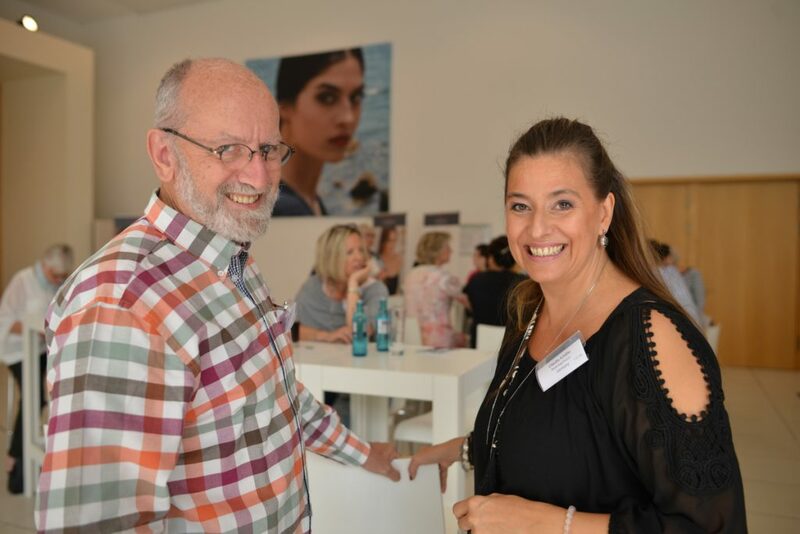 The direct sales company from Bingen has been very successful worldwide for 15 years now! 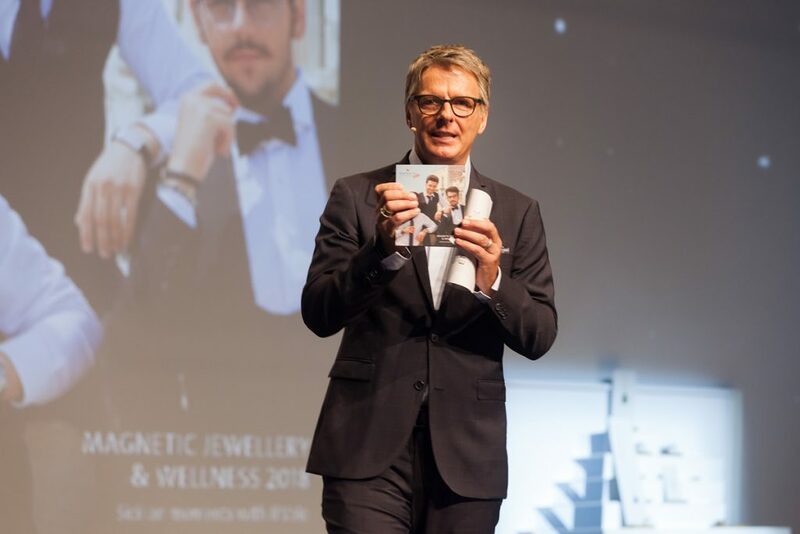 This occasion brought well over 1,200 business partners and ENERGETIX friends from around the world to the Estrel Hotel to experience the presentation of the new magnetic jewellery and wellness creations, and the unveiling of the hot-off-the-press 2018 catalogue! 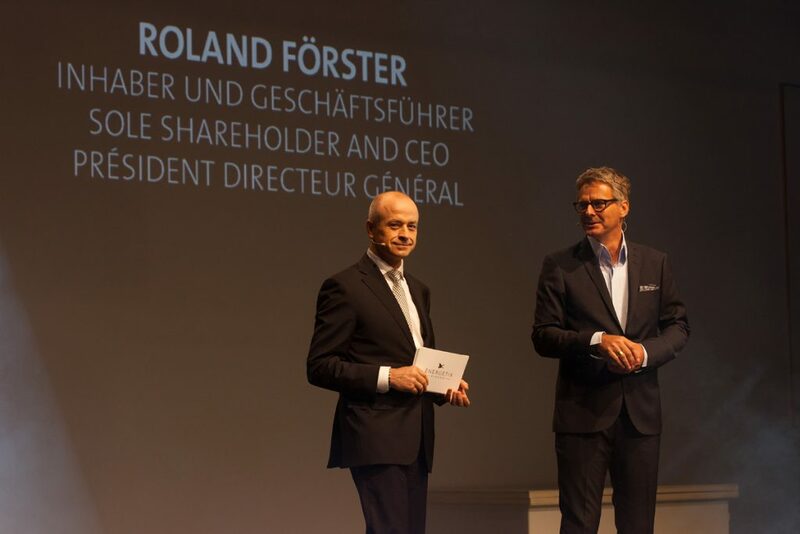 Roland Förster kicked off the event on the big stage by warmly welcoming the international guests. 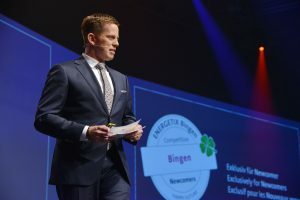 After a brief look back at the company’s beginnings – 7 million catalogues have been printed and over 1.5 million parcels sent from Bingen since 2002 – the CEO and owner announced that the situation looks extremely good in the 15th year as well! The ENERGETIXDrive partner program is also very popular; almost 400 leasing contracts have been concluded so far! 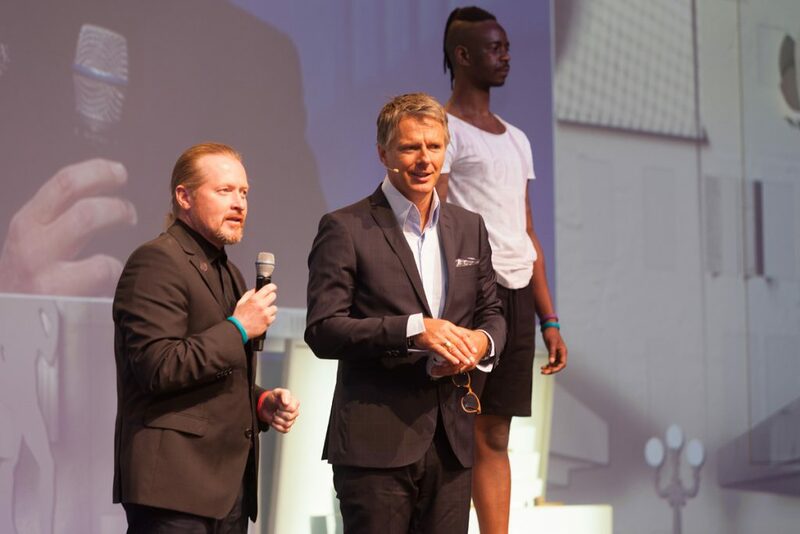 Next Roland Förster spoke on stage with the man who was there to take everyone through the day’s events: No less than popular TV host Jörg Pilawa could be won over for this important anniversary event! As a cornerstone of direct sales, it is essential to win over and retain new business partners, as well as provide them with support. So all the newcomers were invited right up on stage. 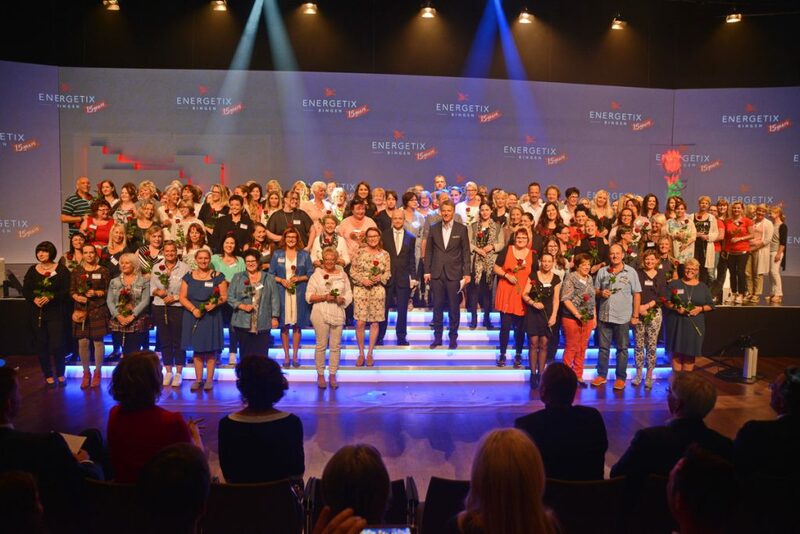 Well over 100 newcomers were able to enjoy a “Welcome to the big international ENERGETIX team” and red roses that morning. 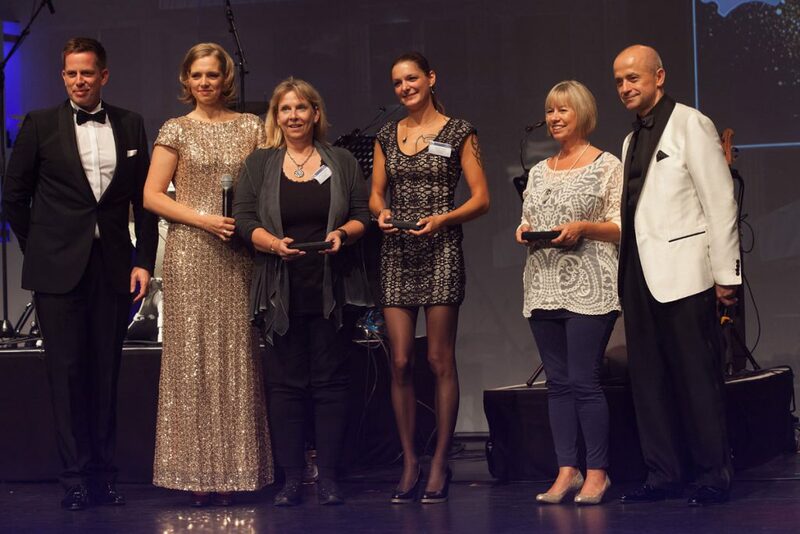 And those who have been with us for 10 years – full of energy and very successfully – were also fittingly honoured! Business partners from the very beginning? 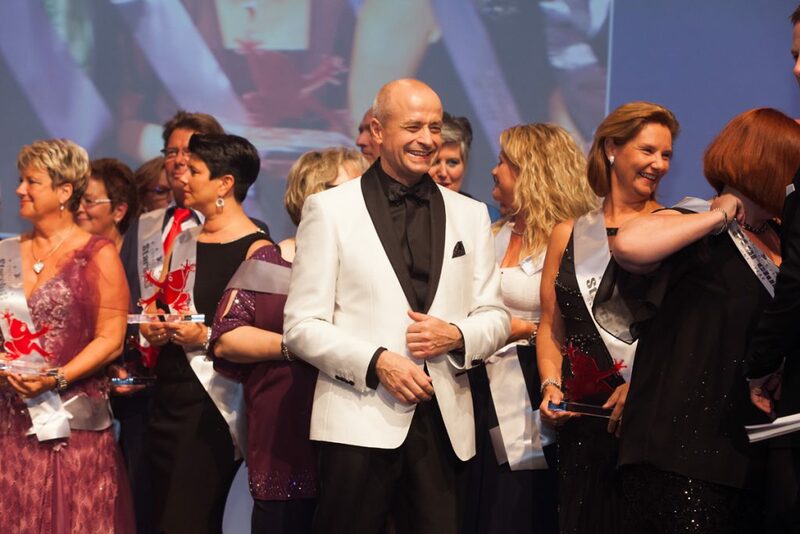 Yes, they exist, and these extremely successful, independent, international business partners were duly acknowledged for their continuous performance! 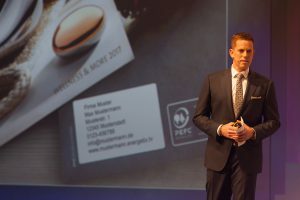 CIO/COO Alexander Link took the stage when it came to “ENERGETIX online” and talked about must-haves in the daily business: the practical ENERGETIX online catalogue and the helpful product app. 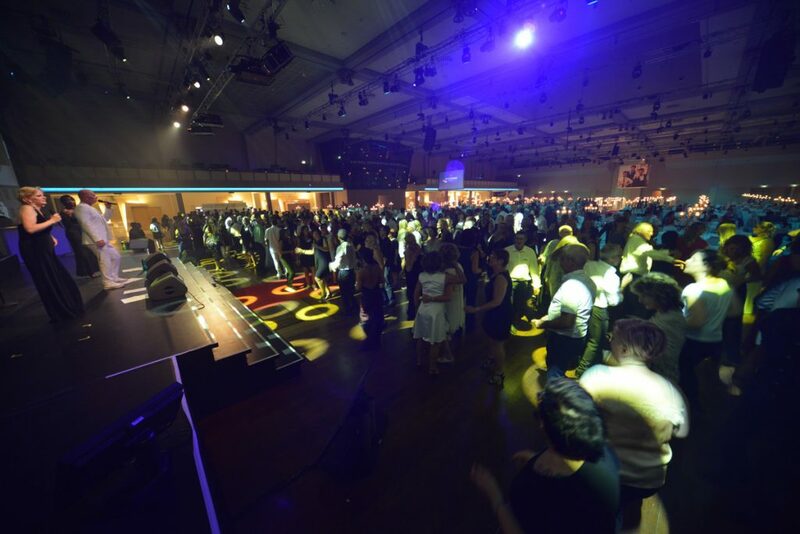 In addition, the new customer and party management system will be available to business partners starting in October, providing them with a new and important tool. 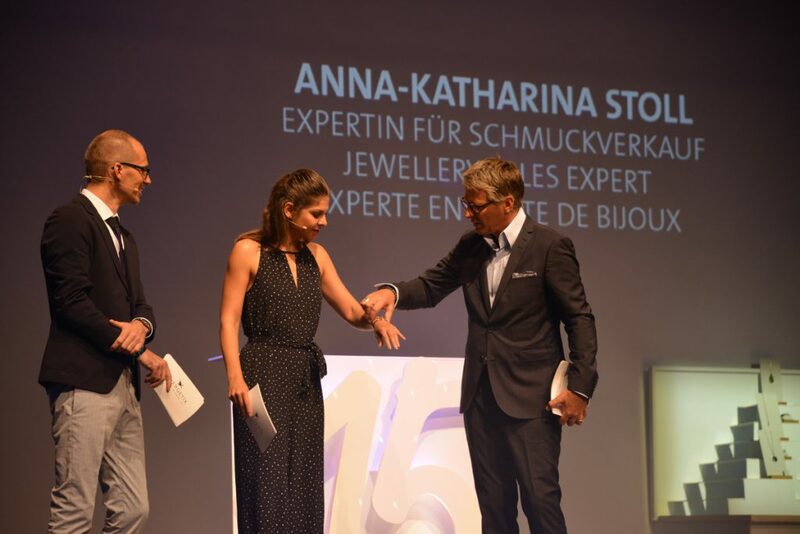 Jewellery sales expert Anna Katharina Stoll charged onto the ENERGETIX stage to present the eagerly awaited new collection. The lively Berliner, with her knowledge of the industry and an eye for detail, drew attention to the beauty of the new creations. 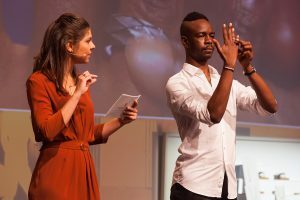 She was supported by ENERGETIX jewellery designer Andreas Zwierlein and numerous models, who staged the jewellery perfectly. 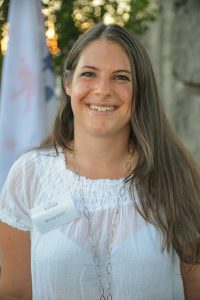 Along the lines of the motto “More is more”, Anna Katharina Stoll did not skimp on practical tips on how to effectively combine pieces of jewellery with one other and present them to the customer in an inspiring way. It soon became clear: The creative team travelled to the lovely Mediterranean island of Sicily together with star photographer Julien Oppenheim for the inspiring model shots of the 2018 catalogue. 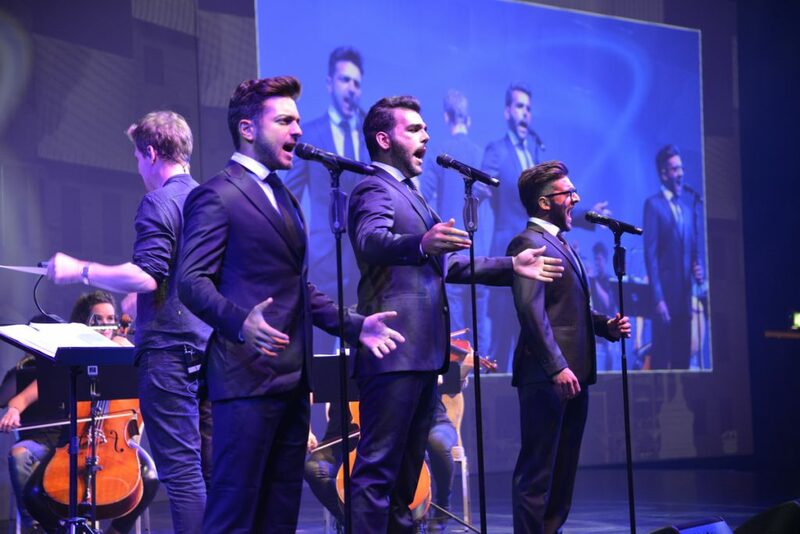 And as an absolute surprise it turned out that Il Volo’s young Italian tenors adorn the cover! 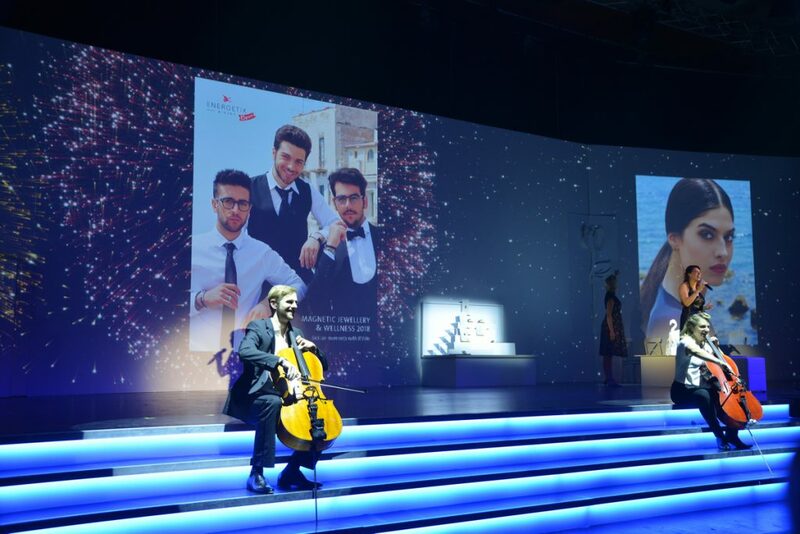 But that was not all: great pictures of the trio – with new ENERGETIX jewellery, of course – can be found on many pages of the 139-page catalogue, with the Sicilian way of life as its theme! If there’s a celebrity who turned out to be an absolute fan of ENERGETIX and magnetic jewellery, then it’s motivational genius Joey Kelly! Joey, who was in Berlin for the 5th time this year, was also very enthusiastic about the absolute innovation, ENERGETIX neck pillow MagnetComfort. 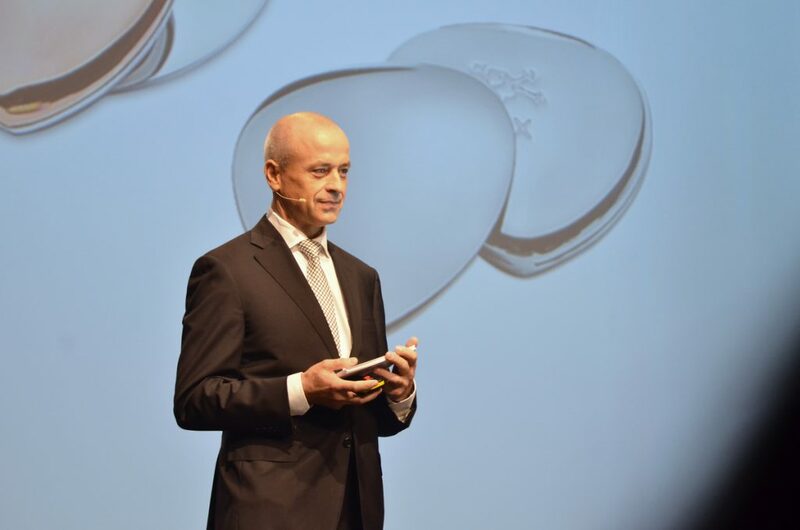 He already wears sportEX for all his challenges, and with this wellness article fitted with magnets he now has another product from ENERGETIX that will give him a lot of pleasure. 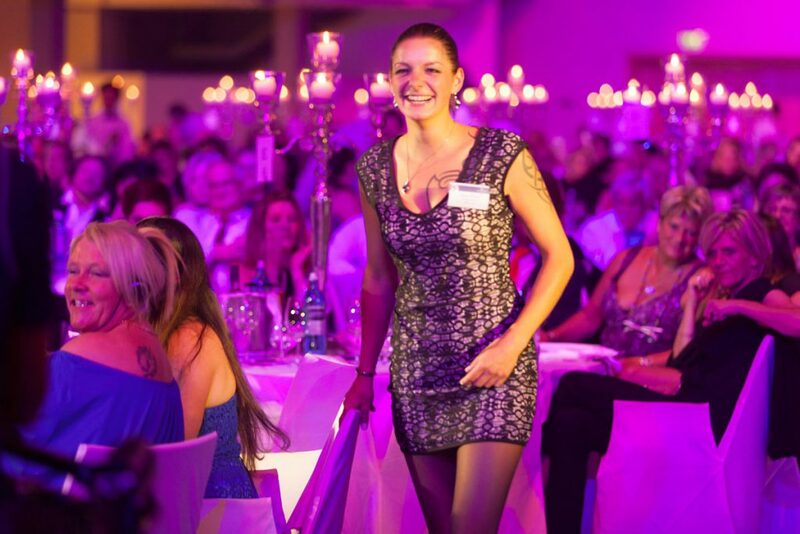 The event continued as Britta Rejek came on stage with a novelty worthy of an anniversary. 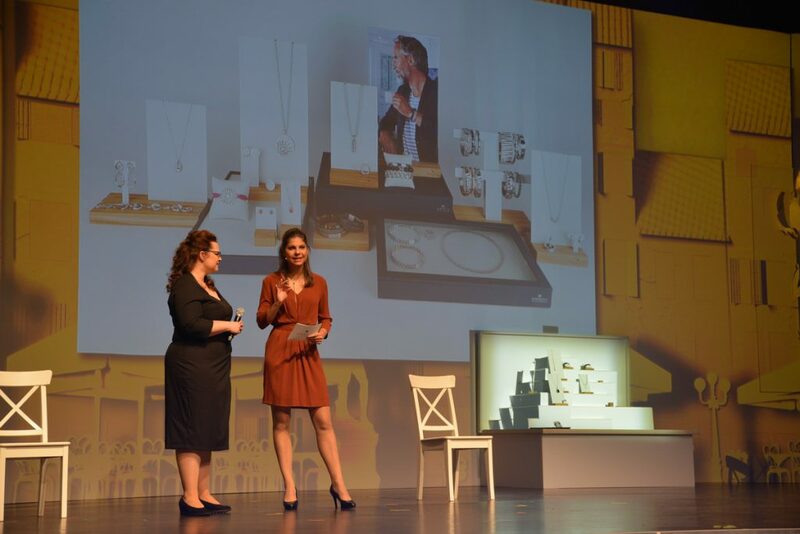 The likeable jewellery designer introduced a new display system that she developed with her team. The result is a brilliant set of building blocks that enables business partners to create professional jewellery presentations. It looks fantastic with its clear design and the materials used, and is designed to store all of the elements in one another for easy transport! 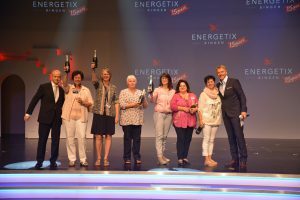 “Show it” will be available for annual ENERGETIX kick-off event in Willingen in January 2018. 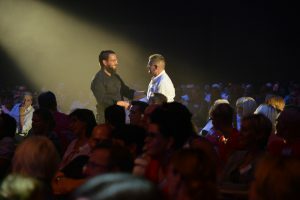 Top trainer Christian Lindemann (the only German language artist who has ever been engaged by the renowned Cirque du Soleil to date) gave a very convincing performance. 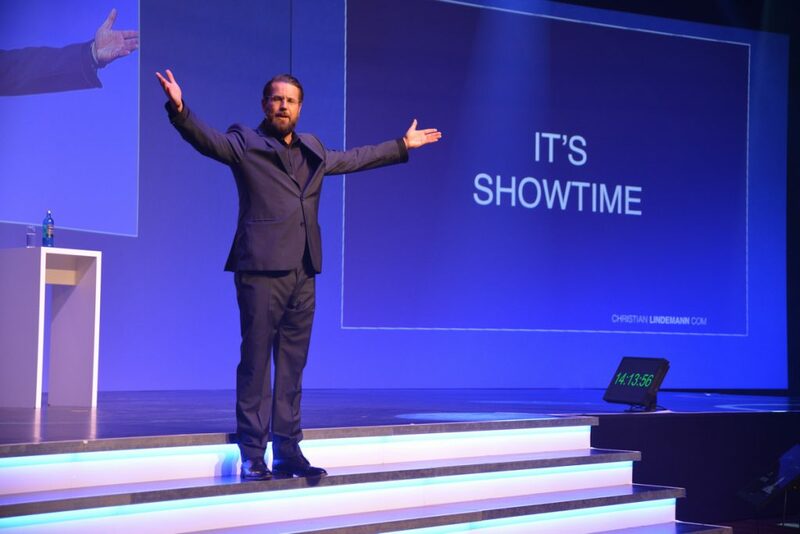 With his motto “Showtime – on the stage of your life”, Christian Lindemann enchanted his audience, generating amazement and laughter. The core message of his entertaining stage programme was to convey confidence and courage to everyone in order to be successful on the stage of their lives. After the coffee break, which was often used to exchange ideas and experiences, CMO Jessica Schlick took the stage. 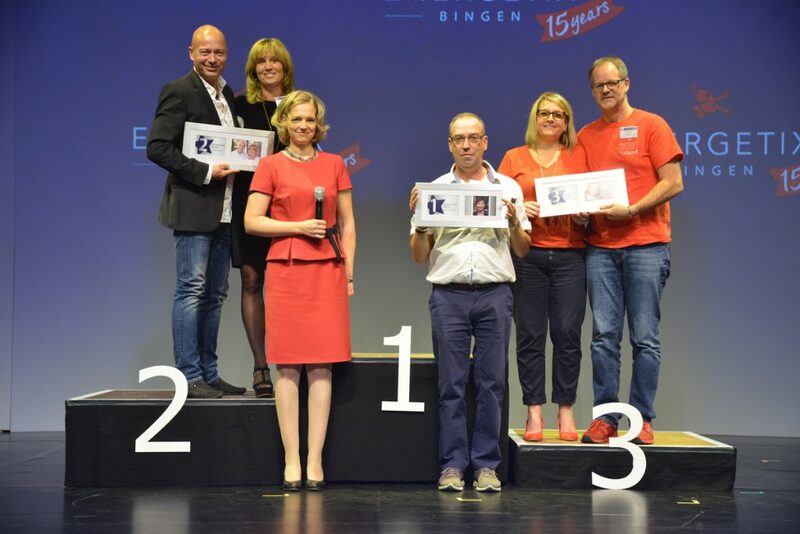 With her motto “From the practice for the use in practice”, this member of the Executive Board warmly honoured the most successful business partners in the categories of “Personal sales volume”: Dominique and Roland Strauß, Nicole and Robert Fritz and in 1st place: Erika Ulrich. 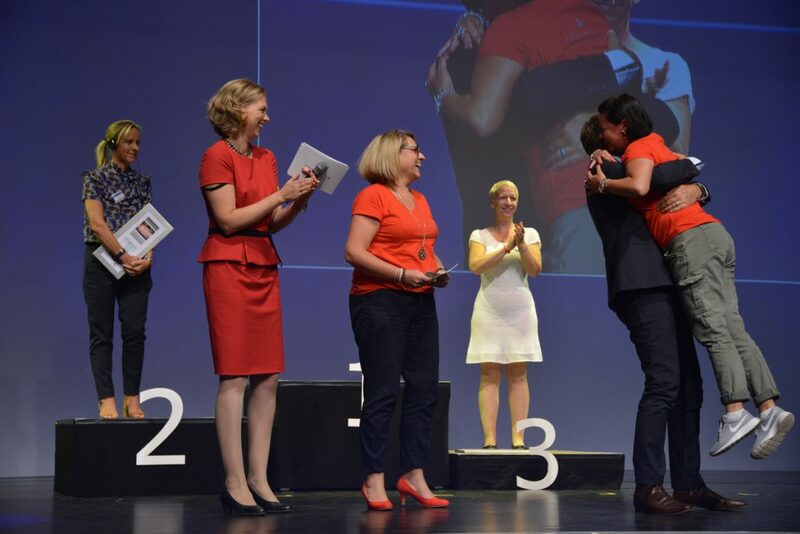 In the category of “International Teambuilding”, Bianca Becker, Marie Claire Poiron and very particularly Rosi Fechter had convincing performances. Jessica Schlick called them up on stage and used the opportunity to ask them about the secrets of their success. Winning over new business partners is extremely important in direct sales. But something that is at least as important as that is for the newcomers to stay. 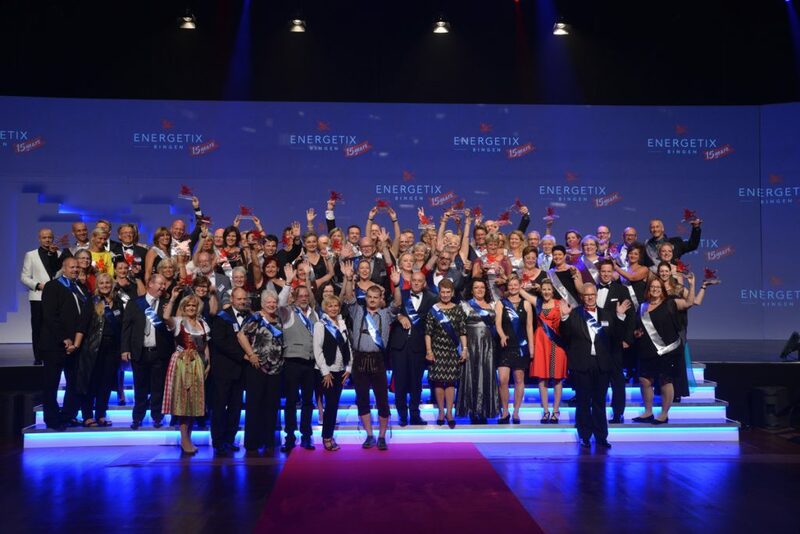 For this reason, ENERGETIX has created a new incentive system: With “Boost your Business”, which rewards newcomers for being active in the first few months, in the future it will become even more attractive for new business partners to join ENERGETIX and pursue a long-term career. 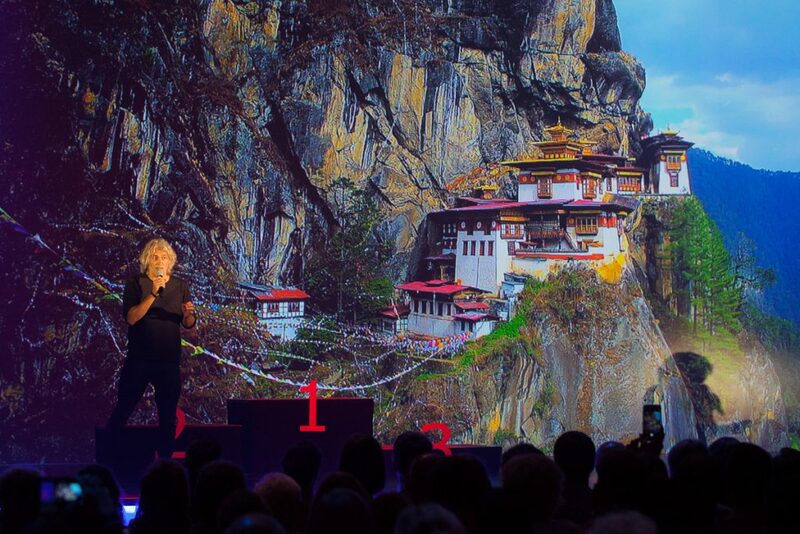 Now it was time for suspense: Alexander Link announced where the new training trip competition will go. Newcomers can enjoy our nice tradition of visiting company headquarters in Bingen, and those in second place will travel to the southern Carpathians, to the homeland of Dracula: Transylvania! Plus anyone reaching the first category can look forward to a unique trip to the Southern Asian Kingdom of Bhutan! 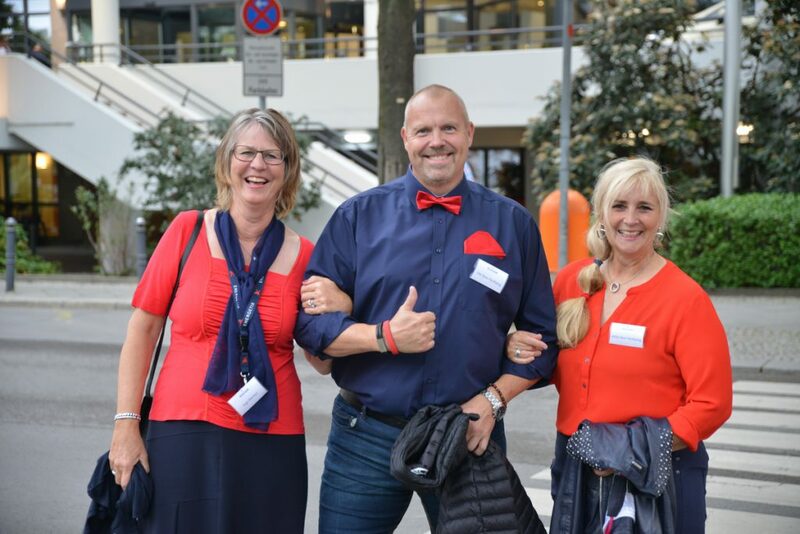 After unbelievable and touching impressions of Bhutan by filmmaker Stefan Erdmann, the fantastic day event came to an end, and the business partners now had time to get spruced up for the gala evening. 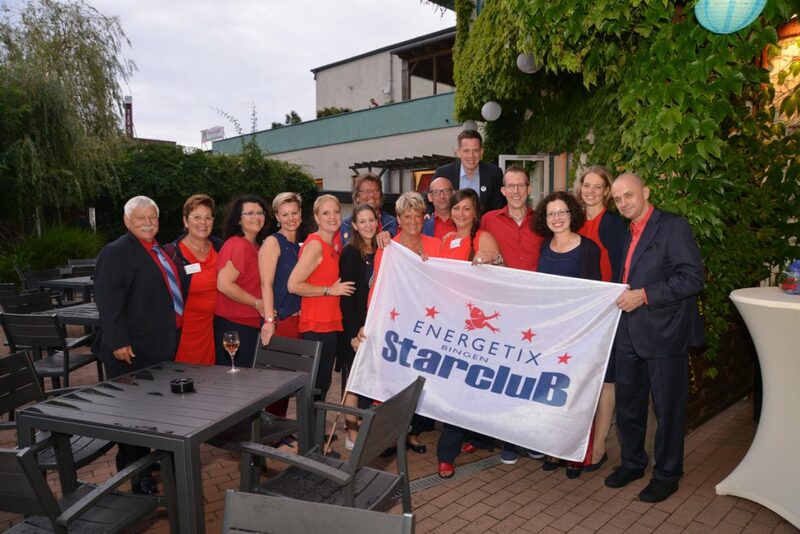 The prelude of the evening was the emotional honouring of the best ENERGETIX business partners: STARCLUB and the OneYear STARCLUB. 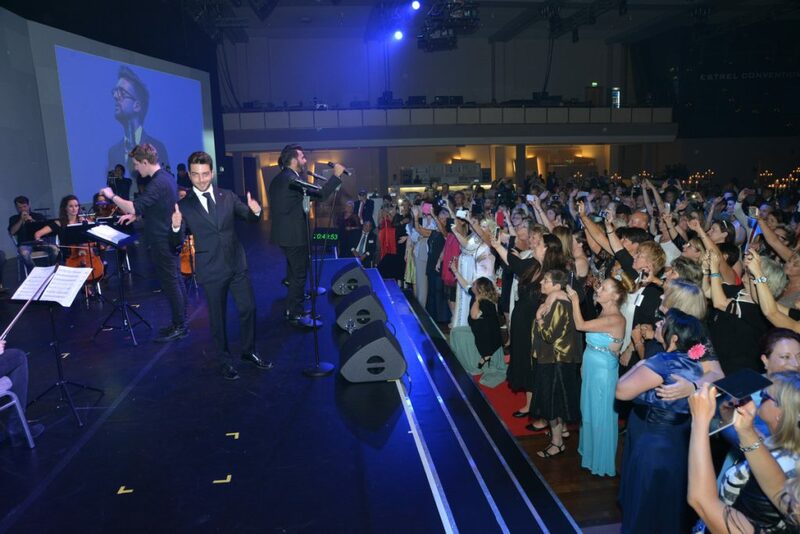 The business partners could no longer keep their seats when the three Italian tenors, who have already enjoyed success together with Placido Domingo, Céline Dion and Barbra Streisand, joined the stage with the orchestra. 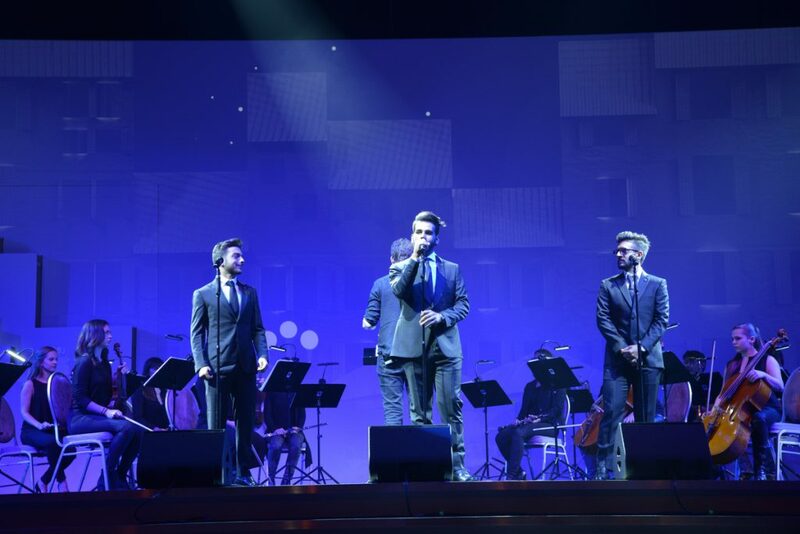 With a great deal of charm and incredible voices, Il Volo captivated everyone with Italian classics such as “Volare”, “O sole mio” and “Grande Amore”. In this perfect (Italian) ambiance, many business partners enjoyed delicacies to nibble on and good wines while reflecting on the numerous experiences of the past hours. Later, management presented Hugo and Liesje Tempelman and Vivi Eickelberg with a donation check for the charity Hugo Tempelman Stiftung. 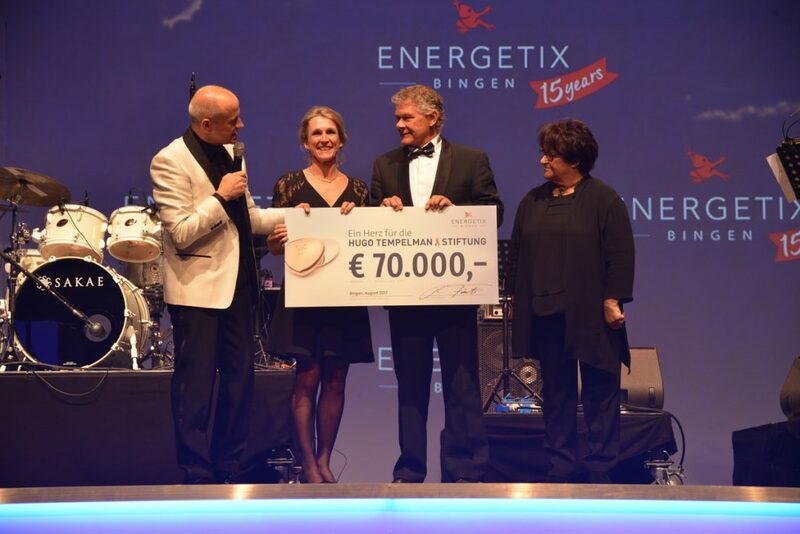 With 70,000 Euro, which came together from the sales of the MagnetHeart by ENERGETIX business partners, the charity can once again do a lot of good things in South Africa! But there were still more highlights to come: the drawing of the winners of the anniversary raffle! 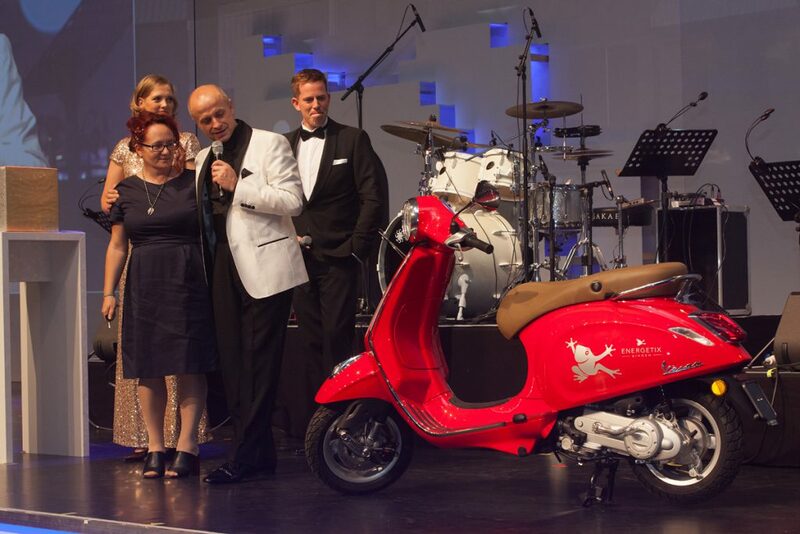 In keeping with the spirit of dolce vita, the lucky winners were able to enjoy espresso machines and a fiery red Vespa! In addition, three leasing contracts for ENERGETIXDrive models were raffled off. Last but not least, the band Radio Sic and DJ Matt Flores invited everyone to dance and have a great time until late into the night. The Networking Lounge, which traditionally takes place the following day, concluded the fantastic ENERGETIX Collection Premiere weekend. This year was even more informative. In a short training session, CIO/COO Alexander Link took everyone on a short excursion into the online management system (MMS). Many took the opportunity to exchange ideas and experiences. 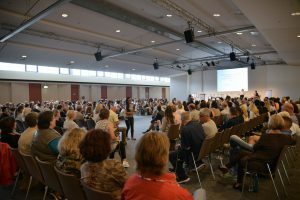 The reactions and happy faces of the business partners who had experienced this event weekend live testified to an almost unbridled appetite for action and highly increased motivation. 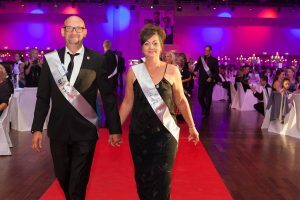 15 years of magnetic jewellery from ENERGETIX creates a desire for many more successful years with this Bingen-based company with the red frog! 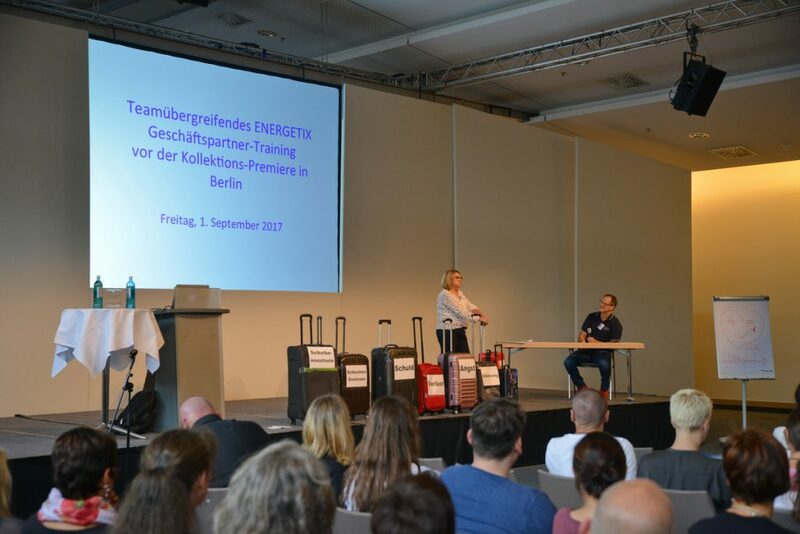 Valuable and practical tips on the day before the Collection Premiere in Berlin: Business partner training! Because you really just need to know how to do it. And that is exactly what the experts, whose success is proof of their abilities, showed everyone in Berlin. 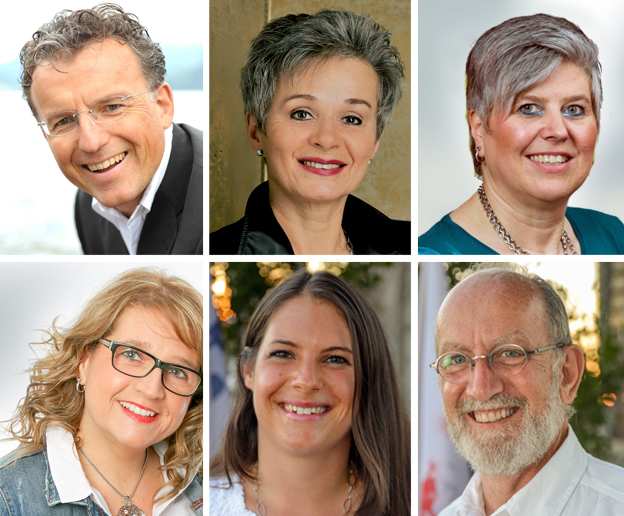 Speakers Ulrich Lang, Biba Marseglia, Karin Becker, Dominique Strauß, Wonja Koch and Sjaak Janssen provided important pointers on key business issues: everything was included, from leading a team to self-discipline and the products. 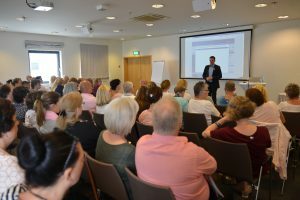 Absolutely no participants wanted to miss out on this concentrated know-how, because the reason they had come was to profit from the many tried-and-tested tips and suggestions – for even more and lasting success in their business. 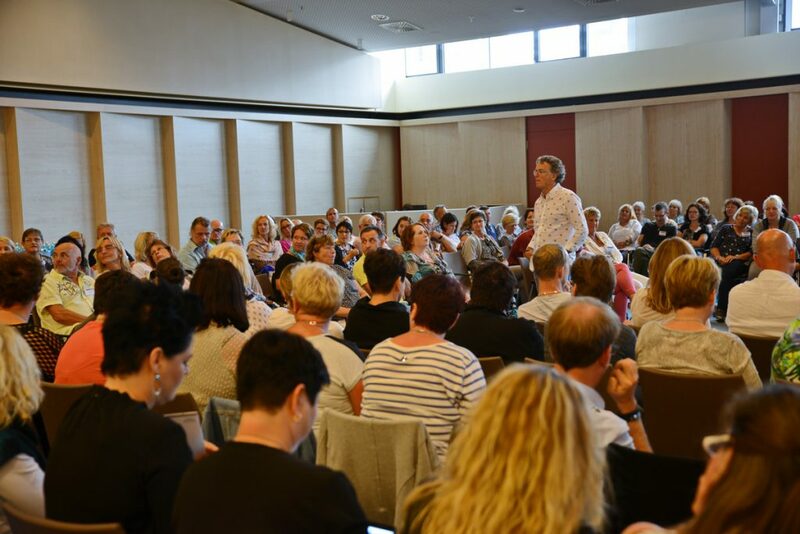 The atmosphere was very positive during the exceptionally entertaining training day. The general anticipation of the big event on the following day was, of course, pervasive: The Collection Premiere 2017, an event which was attended by over a thousand additional business partners from around the world! Participating in trainings always proves to be extremely helpful for both new and experienced business partners. Again and again you receive new tips and suggestions for your own business and, besides the content itself, the possibility to exchange ideas with one another is also an important part of the training. If you select specific training courses according to your own needs, you can effectively apply the content you learned there and successfully advance your business! A magnificent day in Berlin as the kick-off to the Collection Premiere weekend: International STARCLUB get-together in Berlin! 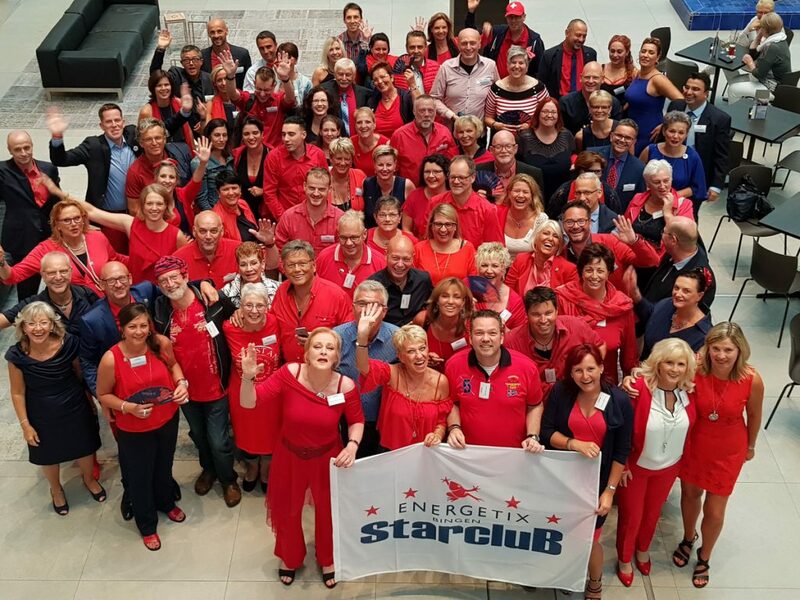 The best of the best, the international STARCLUB, got together on Thursday, August 31, two days before the 2017 Collection Premiere, to get in the mood for the most important event of the year at ENERGETIX. 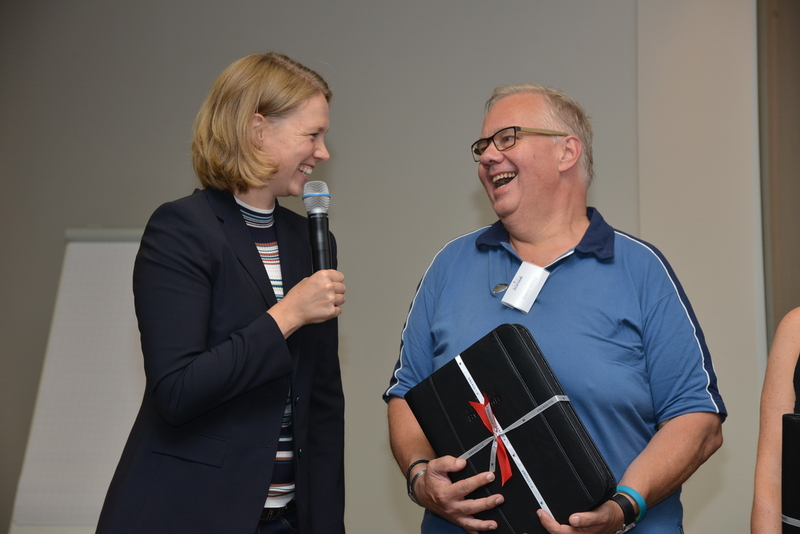 After sharing a lunch snack at the ESTREL Hotel, ENERGETIX owner and CEO Roland Förster warmly greeted his stars. 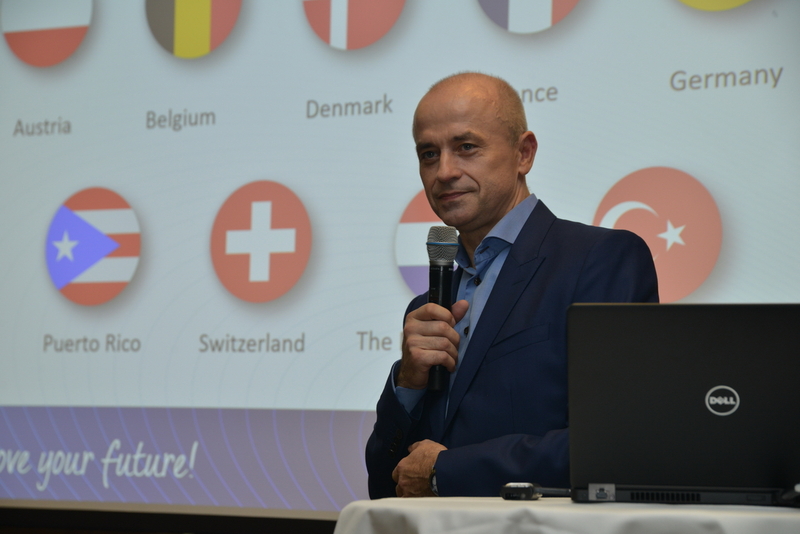 Together with CMO Jessica Schlick and CIO/COO Alexander Link, he introduced the new STARCLUB members and provided information on the latest company developments and plans. 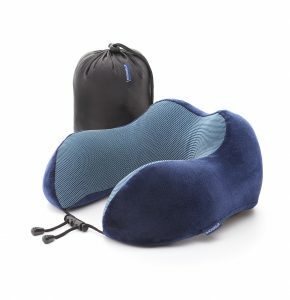 To everyone’s delight, every STARCLUB member there was exclusively presented with the newest wellness product from ENERGETIX, which would not be presented to the entire business partnership until the Collection Premiere: MagnetComfort, the brilliant neck pillow with integrated magnets! 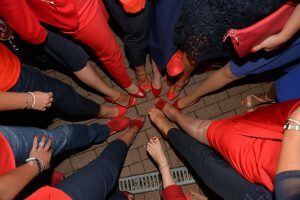 Fully reflecting the corporate colours of ENERGETIX, chic outfits in the company’s colours of dark blue and fiery red were called for that evening. 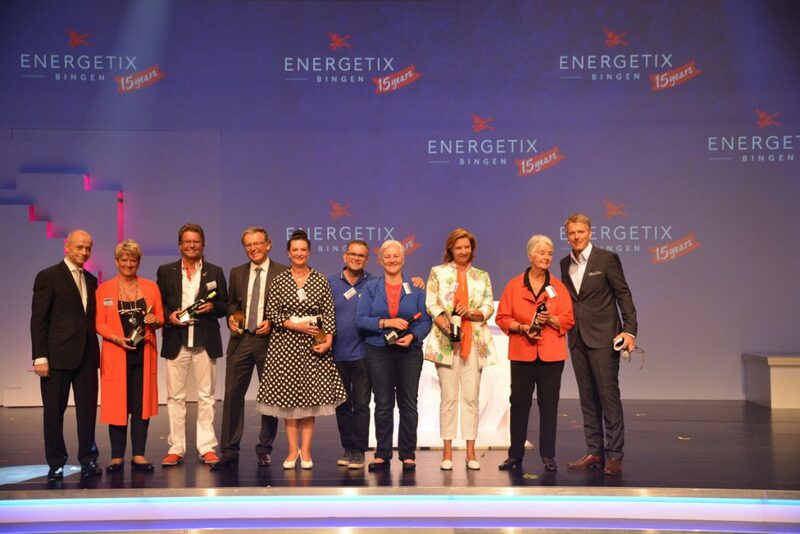 The diverse and very individual ENERGETIX looks were another highlight of this fantastic day! See for yourself: We have put together a selection of the loveliest pictures from the STARCLUB get-together for you here. Departing right from the jetty in front of the hotel, the stars took a very relaxed journey by boat in the early evening to the White Spree Lounge, the exclusive location of the 15th anniversary party. Sparkling wine in the company colours of blue and red, a delicious buffet, food fresh off the grill and a beautiful view of the river Spree all contributed to the high-spirited atmosphere. 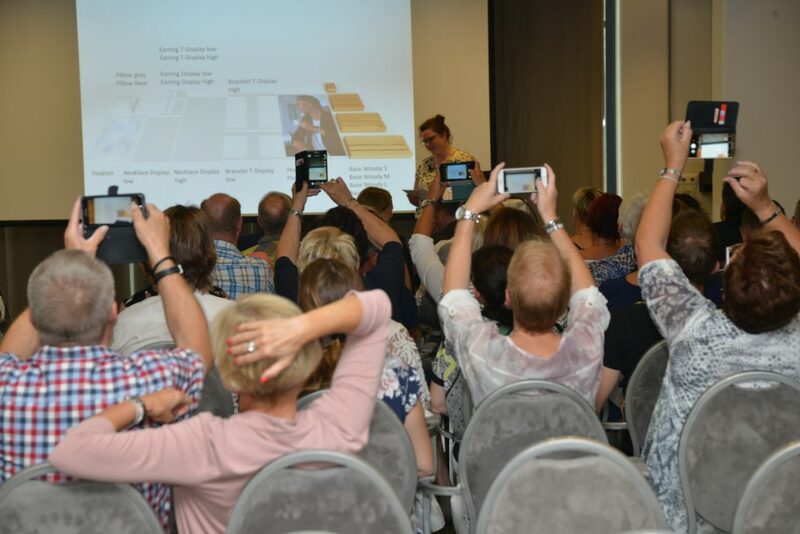 At this event as well, the wonderful bonding and the lively exchange of information was obvious between the STARCLUB members who had travelled to Berlin from Austria, Belgium, Denmark, France, the Netherlands, Puerto Rico, Switzerland and Turkey, as well as all over Germany. Before the celebrations moved to the dance floor, the stars were able to enjoy their festive awards and an exclusive jewellery gift from the brand-new collection!